A log cabin holiday with Windmill Lodges in beautiful rural Suffolk provides a perfect combination of relaxation and comfort in peaceful surroundings. Designed with couples, families and friends in mind, our self-catering holiday accommodation is fully equipped and furnished. Each of our log cabins has its own private hot tub as well as coal-effect fire, wooden floors, leather sofas, a fully equipped kitchen and en-suite bathroom. Exclusive to our Kingfisher Lodge is an infra-red sauna. 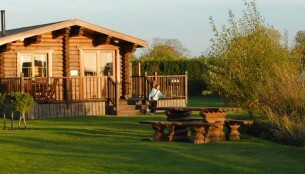 Each of our log cabins has been awarded 4 or 5 stars from Visit England. 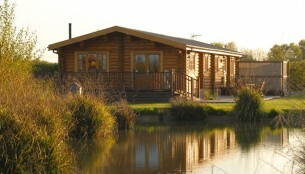 The cabins face onto a small lake and we have a heated swimming pool for Summer use. Located near Framlingham, and within easy reach of the picturesque Suffolk Heritage Coast, there is always lots to see and do nearby. The Suffolk Coast features award-winning beaches, many areas of outstanding natural beauty and the pretty seaside locations of Walberswick, Thorpeness, Southwold and Aldeburgh nearby. Bullfinch is one of our larger two bedroom 4-star log cabins offering a fantastic place to stay for couples, families or groups of friends. 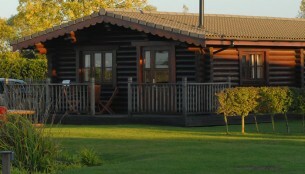 Chaffinch is our one bedroom 4-star holiday log cabin and is the ideal retreat for a romantic getaway any time of year. Goldfinch is one of our larger two bedroom 4-star log cabins and is ideal for a break as a couple or with family and friends. 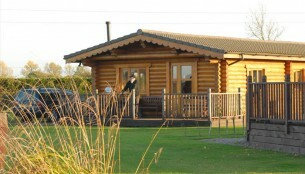 Greenfinch is our largest 4-star log cabin. With three bedrooms it provides spacious accommodation. 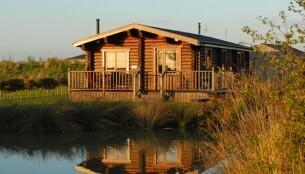 Kingfisher our 5-star holiday log cabin is the jewel in Windmill Lodges’ crown. Wagtail is one of our pet friendly two bedroom 4-star log cabins offering an ideal place to stay for couples, family or friends any time of year. 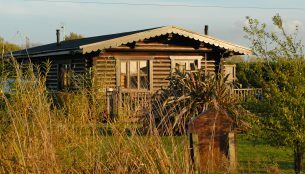 Woodpecker is a pet friendly two bedroom 4-star log cabin offering perfect accommodation for couples, families and groups. Our first stay here, but think it will be one of many. Everything was perfect - hot tub was wonderful! Everything so clean and cabin very well equipped. Had a really great stay. This is the best relaxing holiday ever and well needed! Thanks is not enough for our stay here. We will definitely be back. Our little piece of paradise. Very enjoyable stay. Would highly recommend and would love to come back and stay again. 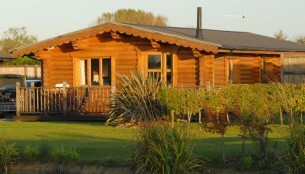 We have enjoyed our stay at Windmill Lodges. Its a lovely site in a peaceful location and handy for visiting the coast and surrounding villages. for a truly memorable getaway.